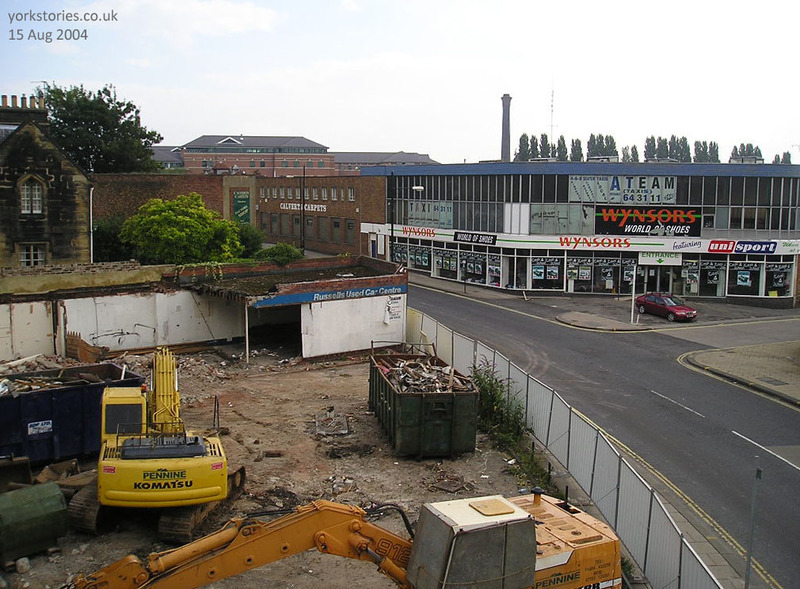 August 2004, from Stonebow House, looking along Stonebow towards Peasholme Green. Across the remnants of Russell’s Used Car Centre, towards Wynsors World of Shoes. It has changed a bit since. 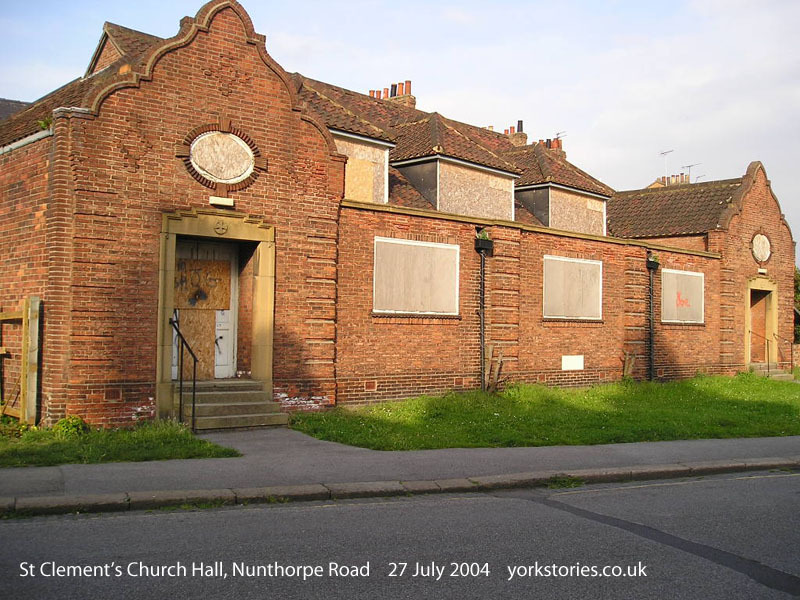 The former church hall and church house of St Clement’s, Nunthorpe Rd, boarded up in 2004, now back in use. Photos comparing 2004 and 2014. 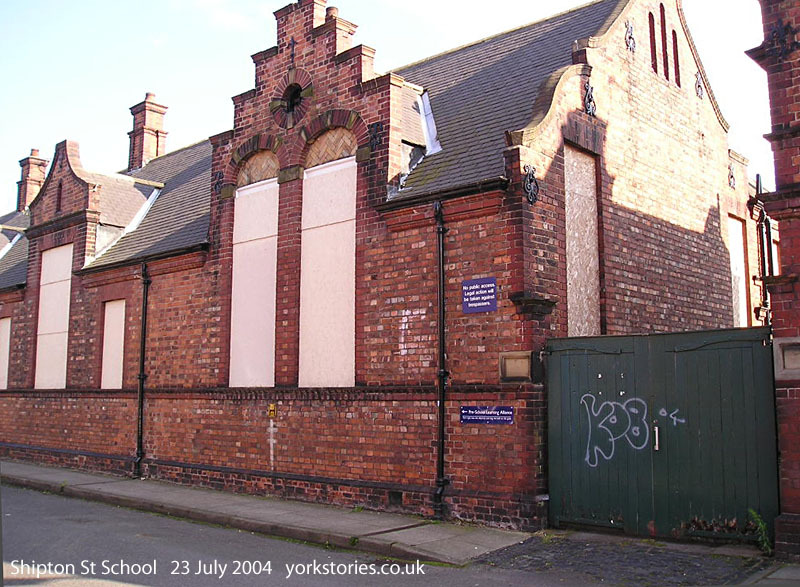 Three buildings rescued since 2004: Shipton St School, Bonding Warehouse, White Swan on Piccadilly. Comparison photos, 2004 and 2014. 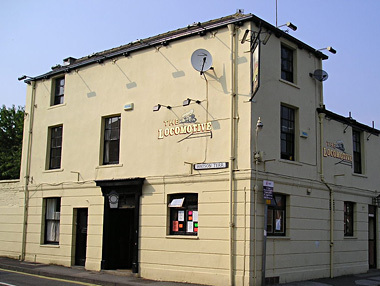 Buildings pictured in 2004, demolished since. 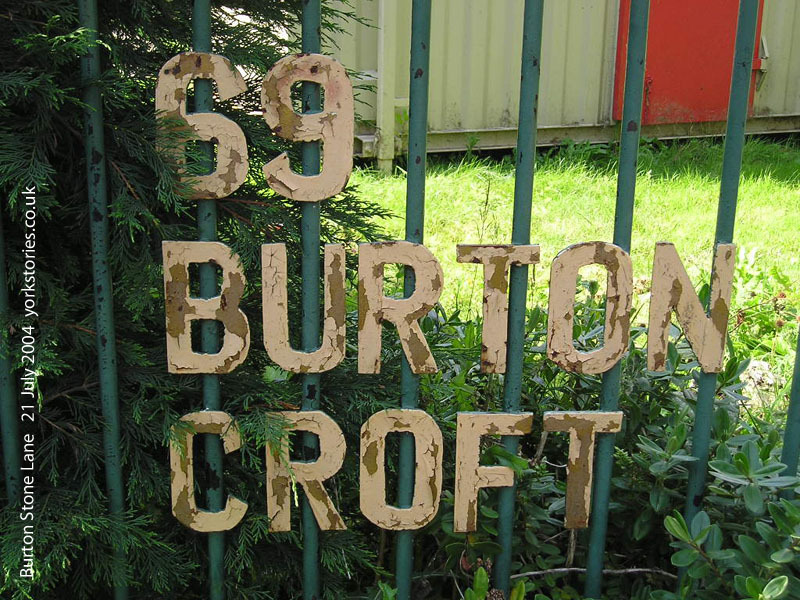 Burton Croft, Moss St depot site and Bootham Row garage (now Sainsbury’s Local and apartments). Comparison photos, 2004 and 2014. A wander along Railway Terrace to revisit Watson Street, St Paul’s church, the long-gone cattle dock, and Holgate Bridge. 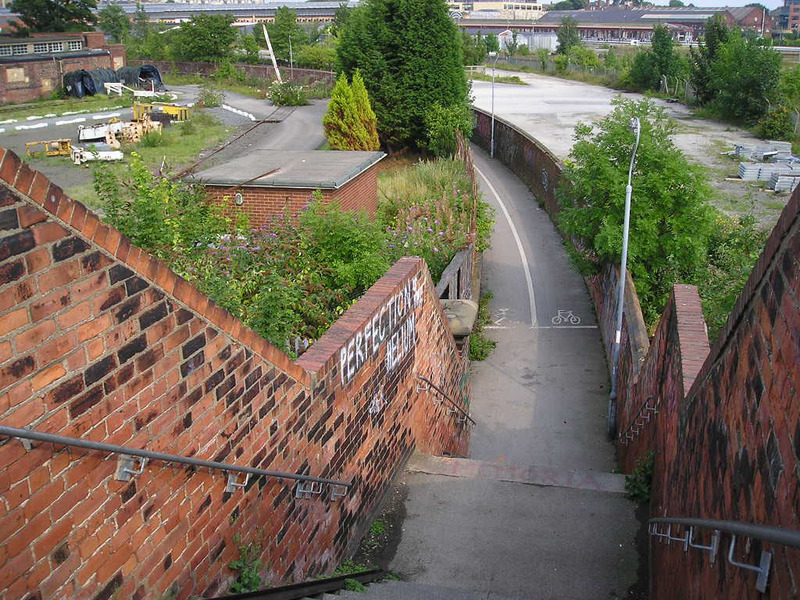 A wander down Cinder Lane, past old rusty things and a new building on the Engineers’ Triangle. Photos from August 2004 and August 2014 compared. 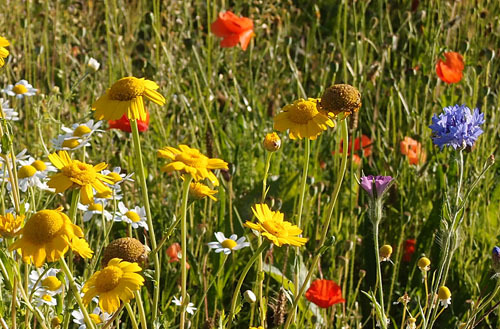 Poppleton Road, carriageworks site, the Holgate Arch and a meadow, ten years on. As previously mentioned, it’s ten years this month since I started my wanderings around York with a digital camera. To mark this I’m revisiting, taking photos in 2014 of particular buildings and views first pictured in 2004, to see how they’ve changed. Using the same camera I used back then.